Safely cleans evaporators and condensers without potential damage to equipment, personnel, or the environment. 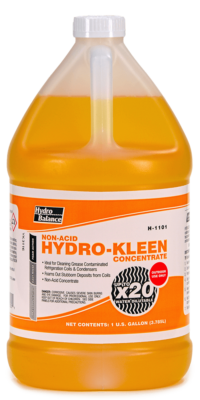 Unlike strong acid or highly alkaline cleaners that attack metal, Enviro-Coil Cleaner attacks only the dirt build up and leaves metal surfaces clean and free of corrosion. 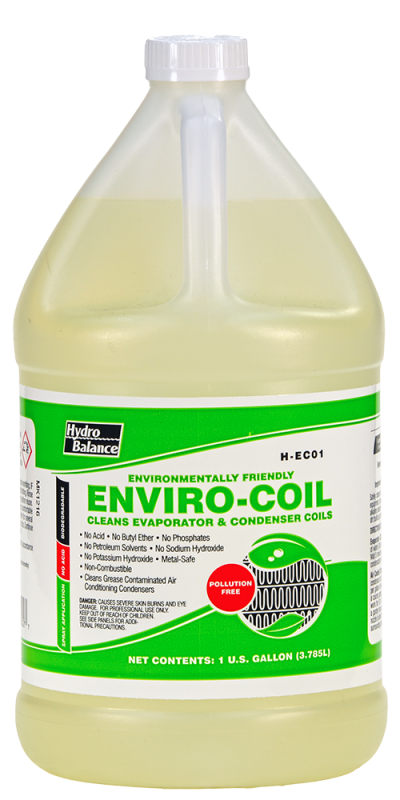 Evaporator Coils: Dilute with 8 parts water (1 pint cleaner per gallon of water).Shut system off. Spray coil thoroughly using a course spray. Wait 5 minutes and resume normal operation. No rinsing required when condensation is present. Air Cooled Condensers Coils: Useful tip: cleaning is more effective if condenser is still warm from use. Dilute with 4 parts water (1 qt. cleaner per gallon of water). Shut system off. 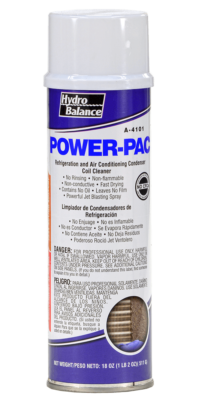 Spray condenser thoroughly with a course spray, saturating all surfaces to be cleaned. Allow cleaner to work for 5 to 10 minutes, then rinse away dirt and contamination with a garden hose using as much pressure as possible. A hose end spray nozzle is ideal for rinsing. 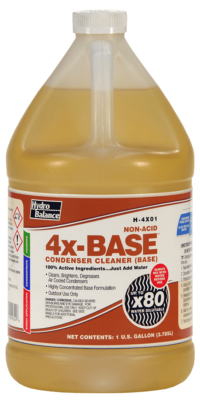 Rinse water is not hazardous and will not harm surrounding plants, roofs, or other nearby equipment.